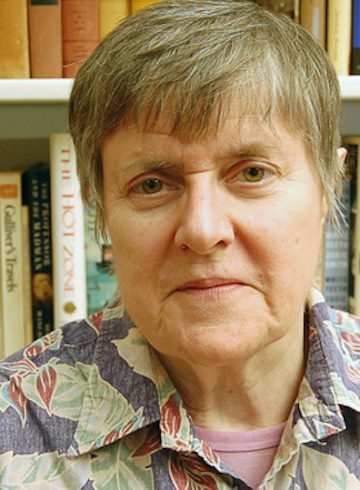 Kathleen Norris, known as bestselling essayist on the spiritual life, is an award-winning poet, writer, and author of The New York Times bestsellers The Cloister Walk, Dakota: A Spiritual Geography; Amazing Grace: A Vocabulary of Faith; and The Virgin of Bennington. Exploring the spiritual life, her work is at once intimate and historical, rich in poetry and meditations, brimming with exasperation and reverence, deeply grounded in both nature and spirit, sometimes funny, often provocative, and always important. Norris has published seven books of poetry. Her first book of poems was entitled Falling Off, and was the 1971 winner of the Big Table Younger Poets Award. Soon after, she settled down in her grandparents’ home in Lemmon, South Dakota, where she lived with her husband, the poet David Dwyer, for over twenty-five years. The move was the inspiration for the first of her nonfiction books, the award-winning bestseller Dakota: A Spiritual Geography. It was a New York Times Notable Book of the Year and was selected as one of the best books of the year by Library Journal. In Lemmon, she joined the Presbyterian Church, where her grandmother had been a member for 60 years. When the church was between full-time pastors, members called on her to fill-in, commenting, “You’re a writer, you can preach.” In 1986 she became an oblate, or associate, of a Benedictine monastery, Assumption Abbey in North Dakota. Subsequently, she spent two years in residence at the Ecumenical Institute at St. John’s Abbey in Collegeville, Minnesota. Her next book, The Cloister Walk, is structured as a diary of her monastic experience interspersed with meditations on virgin saints, Emily Dickinson, celibacy, loneliness, monogamy, and a hymnist of the early church, Ephrem of Syria. Some reviewers have compared her portrait of the world of the monastics to the writings of Thomas Merton. Her book Amazing Grace continues her theme that the spiritual world is rooted in the chaos of daily life. In this book, she sheds light on the very difficult theological concepts such as grace, repentance, dogma, and faith. Her intention is to tell stories about these religious concepts by grounding them in the world in which we live. Norris’s book, The Virgin of Bennington, is a continuous narrative in which she shares the period of her life before Dakota. From the sheltered youth, to her entrée into the New York art world, she describes the internal and external journey of an artistic young woman trying to find a place for herself amid the cultural tumult of the 1960’s and 70’s. Other books include Journey: New and Selected Poems, and Little Girls in Church. Norris is the recipient of grants from the Bush and Guggenheim Foundations.